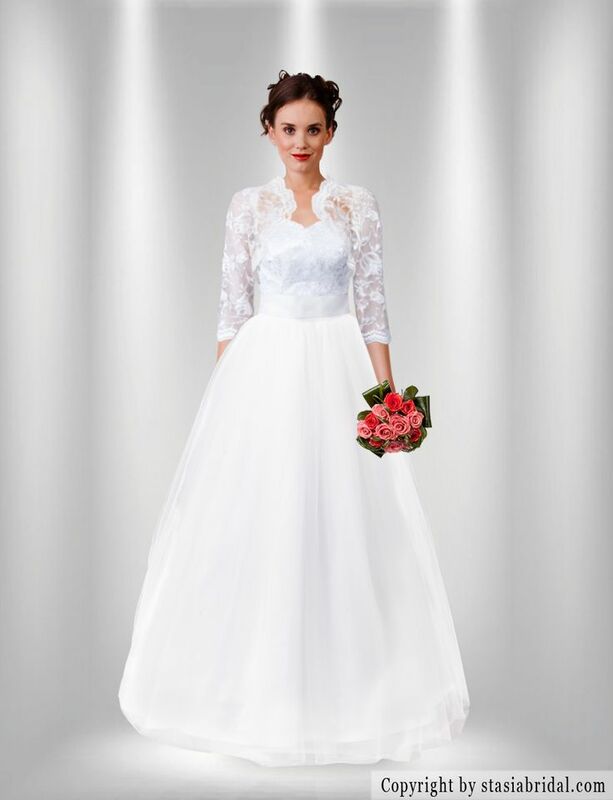 Stasia Modest Couture is the 1st bridal company to allow brides to create their ideal wedding gown using a unique custom design process. 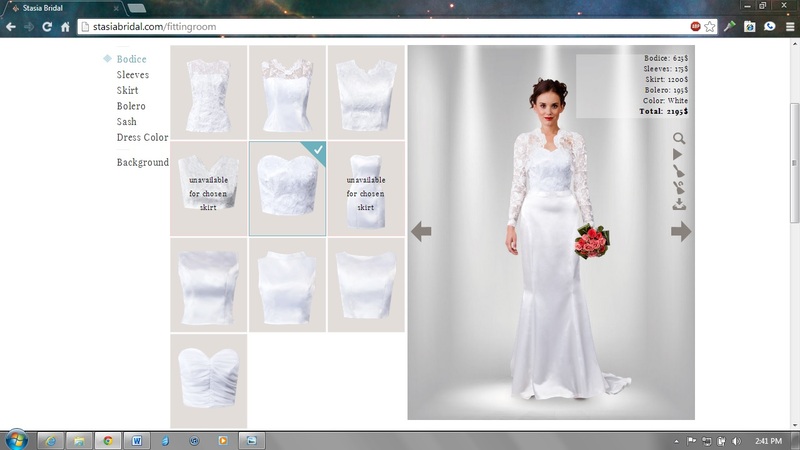 Brides may choose from over 1000 different combinations online or in house to create their special gown. Stasia’s patent pending “perfect size” process corrects for sizing and delivers a perfectly fitted gown to brides worldwide. 1) Custom made to your size, shape and personal measurements. No alterations needed. Exact fit guaranteed. 2) 4-6 week turnaround period from time of order till your gown is hanging in your closet. 3) Affordable. Gowns made using the finest fabrics and range from about $1400-2400.